CAT GRANT: Cat started off as the assistant of Perry White, working hard enough until she had the chance to write an article for the gossip column. Eventually founded of CatCo, a media conglomerate that centers in National City. Kara (Supergirl’s mild-mannered alter ego) works as a personal assistant to Cat, who is described as “J.Lo by way of Anna Wintour". Cat Grant is played by Calista Flockhart. 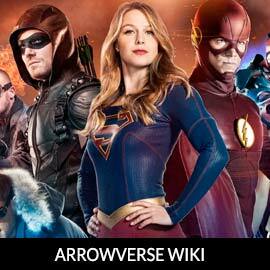 For more info on Cat Grant, check out our partners at ArrowvverseWiki.